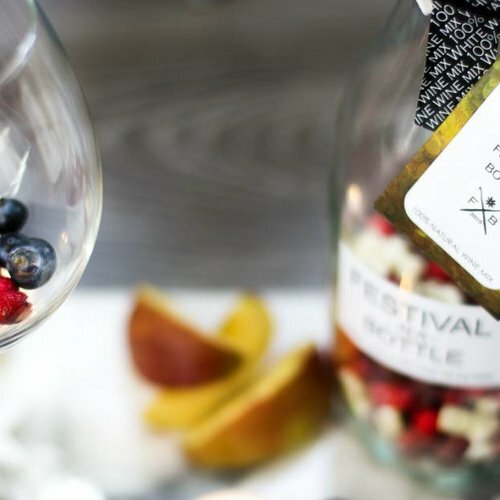 The WINE FESTIVAL is easy to prepare by adding a bottle of white wine (0.7L) of your choice to the carafe and place it in the refrigerator for 60 minutes. 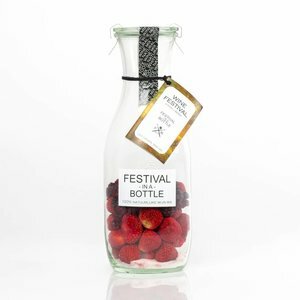 The beautiful glass bottles with freshly dried fruit form the basis of a tasteful Sangria. After adding the wine your sangria is ready in just one hour. This is because we only work with high-quality dried fruit that has been picked at exactly the right time. This gives the fruit an optimal taste and no water has been released. This is how the Festival mixes retain their powerful taste. 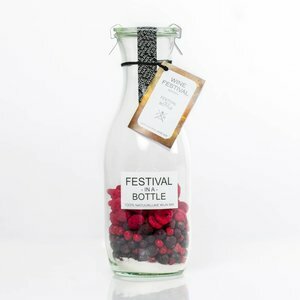 Festival In A Bottle Sangria is a creative DIY drink, all to your own taste, but without rubbish or fuss. During the preparation, you immediately smell the pleasant smell of fresh fruit or spices. 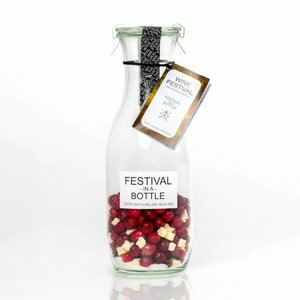 The Festival mixes for sangria with your white wine of choice. Then put the bottle in a cool place. After an hour you can enjoy a great sangria. The WINE FESTIVAL is easy to prepare by adding a bottle of white wine (0.7L) of your choice to the carafe and place it in the refrigerator for 60 minutes. After 60 minutes just like with sangria you can pour the contents of the carafe immediately into your glass.